Apple is exploring the use of carbon fiber to create reinforced housing for its mobile devices, with the iPad a potential candidate to utilize the strong-but-light material. The U.S. Patent and Trademark Office published a new patent application from Apple this week entitled "Reinforced Device Housing." Discovered by AppleInsider, describes an outer shell for electronic devices composed of a "layered fiber-in-matrix type material, such as CFRP," otherwise known as carbon fiber-reinforced polymer. 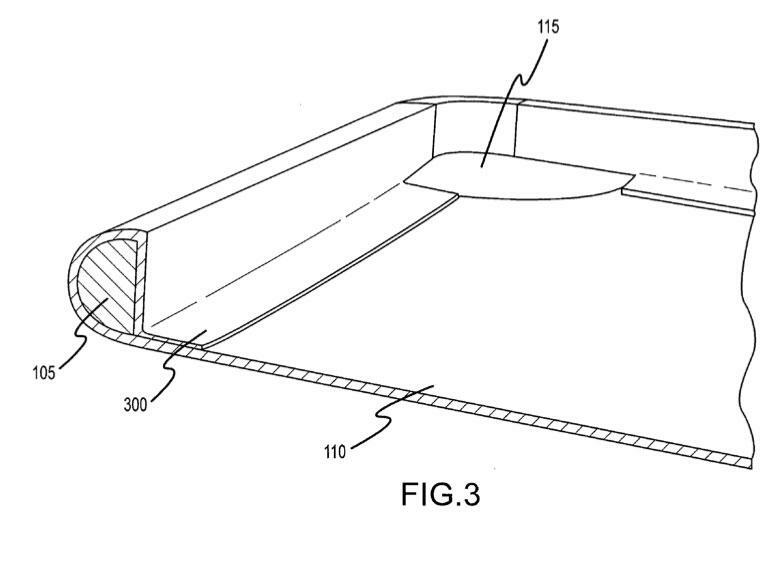 Illustrations that accompany the filing show a single, unibody housing similar in shape to the iPad. Apple's current, first-generation iPad has a solid aluminum back. The application notes that electronic devices with housings made of plastic often crack. And those with a metal back are durable, but can be heavier and more expensive. Even traditional implementations of carbon fiber may not be enough, Apple's application notes. It states that devices made of carbon fiber can crack or break if bent or rolled in a certain way, along the lengthwise axis of the fibers themselves. Apple's solution would employ either a layered carbon fiber material or a spine or frame made from the same material to support a carbon fiber skin. Using a frame or layers would ensure that the fibers would run in different directions, thus addressing the weakness of carbon fiber housings. The application also goes into detail as to how a carbon fiber frame for a portable electronic device, like the iPad, would be created. It involves molding the supportive spine to the carbon fiber skin for support. The application made public this week was first filed on May 18, 2009. The proposed invention is credited to Kevin M. Kenney. Like the iPad, the first-generation iPhone had a mostly metal back. That was changed to plastic for the iPhone 3G and iPhone 3GS, and a major redesign of the handset with the iPhone 4 led to a glass back. 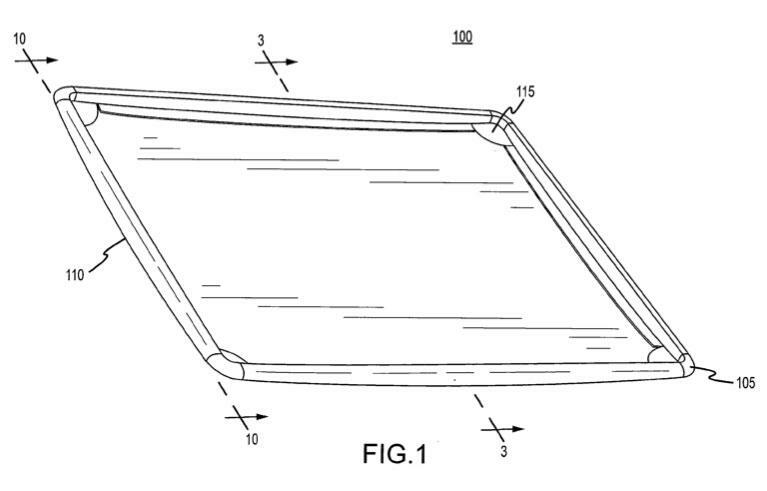 The rear case of the iPad is made from a single billet of aluminum. In its teardown of the device earlier this year, iFixit noted that the choice of a metal back increases the weight of the iPad, but also greatly improves the rigidity of the device. Some reports this year tied to rumors of a 7-inch iPad suggested Apple was looking at a smaller form factor because some users felt the current iPad is too heavy. However, Apple Chief Executive Steve Jobs quieted those rumors in October, when he said a 7-inch tablet is too small for most consumers.